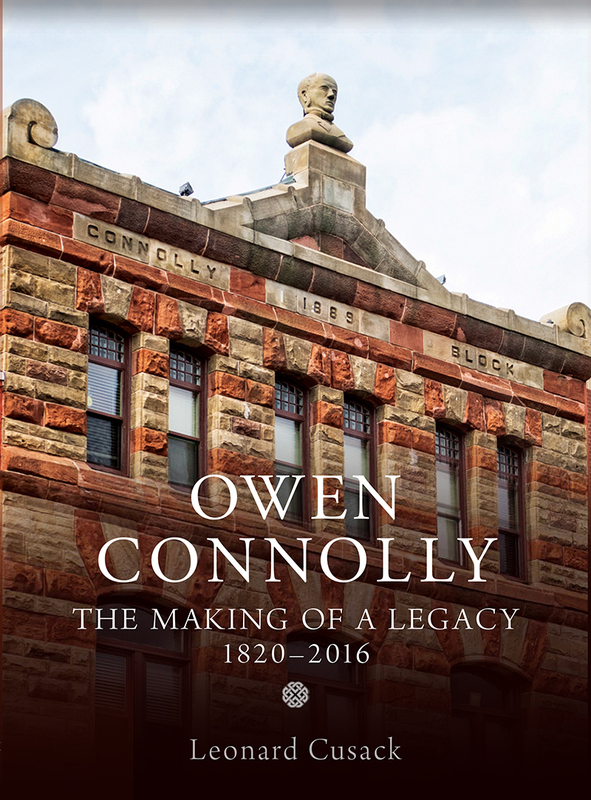 From 1888 to 2016, the Owen Connolly Estate has funded approximately $3 million to help thousands of Prince Edward Island students of Irish Catholic heritage gain a higher education and achieve career success. This is the remarkable rags-to-riches story of the man who created this legacy, and the people who protected it. Owen Connolly was a young immigrant lad escaping poverty and repression in his homeland of Ireland when he first stepped onto the docks in Charlottetown, P.E.I. in 1839. Armed with little more than determination and grit — and a brilliant financial mind — over the next forty years he rose from being a dirt-poor farmer to one of the wealthiest men on Prince Edward Island. His story unfolds against the backdrop of the 19th-century boom times on P.E.I. By 1852, Connolly had set up his own store in Charlottetown and within a few years he was wholesaling goods to other merchants, especially at small rural stores. He expanded into importing and exporting, banking, real estate; set up branch stores in Souris, Cardigan, and Montague; and became one of Charlottetown’s most prominent citizens. 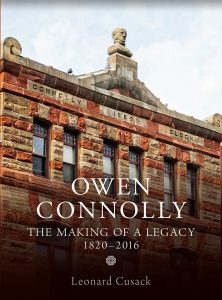 Owen Connolly was a special kind of entrepreneur; with little formal education, he could write well and was good with numbers. When he died in 1887, he left almost all of his fortune to provide bursaries to poor Irish Catholic students from P.E.I. The management of his estate is also an amazing story. Its many trustees, including prominent figures in the Roman Catholic church, have steered the estate through tumultuous times and continue to operate it on a sound financial basis. Today, its value remains at over $2 million.